Place: Lviv, Ukraine, Sport hall “Graciya”, Trade center “Pivdennyy”, Shchyretska str. 36. 20 of November - 100 UAH. All finalists of the competition will be rewarded by diplomas. 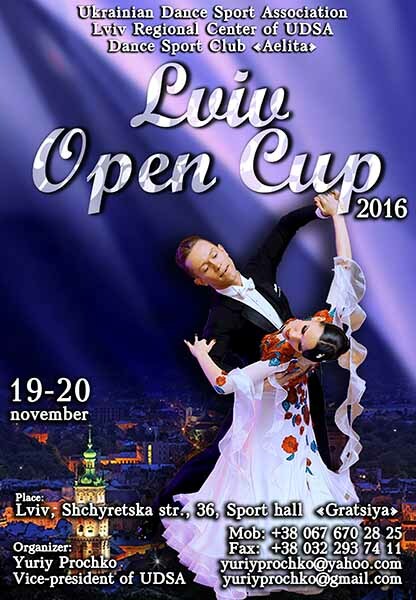 Prize-holders of the competition will be rewarded by diplomas, medals and cups. Rules: According to WDC and UDSA Regulations. Adjudicators: Classification competitions - invited adjudicators and adjudicators according to categories.